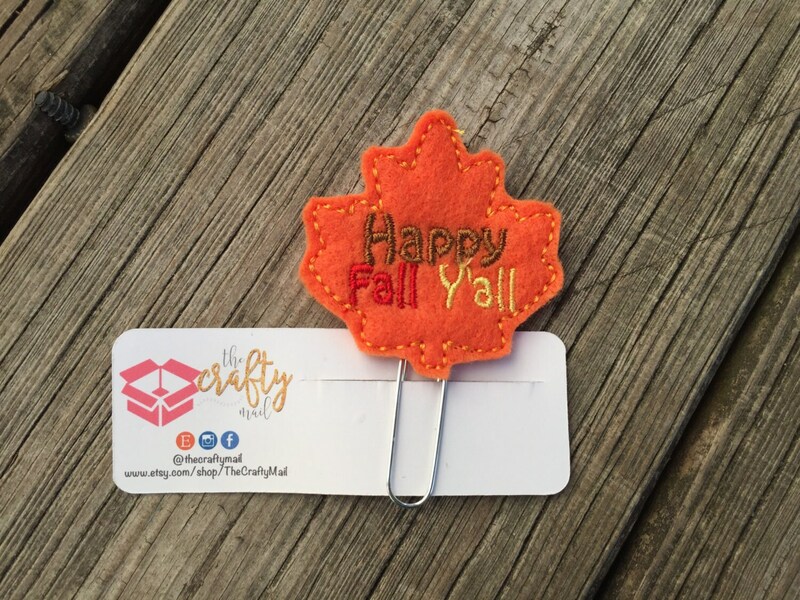 Large paper clip with happy fall y'all leaf embellishment. Adorable feltie planner clips! Very pleasant shopping experience. I will definitely be back for more! !